Black Lily Musings is in conjunction with the website blacklilyimageconsulting.com. It is a place where I share my thoughts and feelings on every subject from style to spirituality. I have felt a need of Restraint. For Quiet. So as I enjoyed so much the Sharing and the Fellowship of so many…I am Stepping Back for a while. I’m not sure if I’ll continue. Somethings are meant for A Season. A Reason. But you can be sure…if I do feel this is still an Integral Part of My Purpose, I will write with New Fervor. I love you all Fervently. We can Worry About Mattering. Do we Matter to People? Do they Care? Are we Important to them? The Better Question is “Do you Bring Value?” Because if you Do, You Will Matter. We will Only Matter to Those who we Bring Value to. And Value is Measured by one’s own Priorities and Inner Moral Compass. So I could Matter for all the Wrong Reasons. Depending on the Priorities of Another. So My Concern is Not to Matter. But to Add Value Based on My Moral Code and Noone Else’s. So What do I Value? Authenticity. Kindness. Joy. Encouragement. Love. Listening Ears. Introspection. An Open Mind and Heart. So with This List I Enter Life Each Day. To Bring Value to Others. In Turn, I will Matter to Those who Share the Same Values. Thanks to all my Valuable Friends who Matter to Me. nothing is for show. someone entered the kitchen and took a picture because the sun rays were beaming in. the moment of stillness caught on film in a fraction of time. the brita drink container in its useful ugliness wasn’t even put away for a better shot. it’s not fancy. nobody has tried to capture the perfection of pinterest in this kitchen. the drawers are melamine. the fabric under the sink is from a discount booth at a Walmart. but, in my heart, no “perfectly put together” and Italian marble could capture the essence of this kitchen. all the things I love and matter to me are in this kitchen. sun rays. warmth. love of nature. comfort. sustenance. humility. beauty. safety. functionality. ease. and most of all, AUTHENTICITY. there’s also a beautiful aged chandelier adding a touch of glamour to the room. 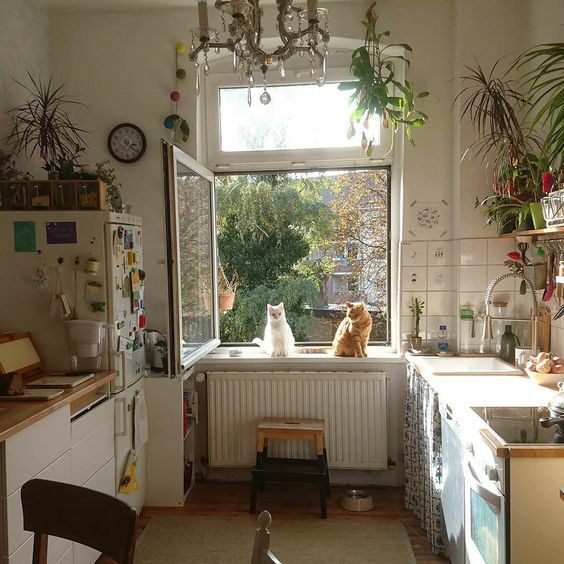 So Yes, I want my heart to look like this kitchen on a summers day. The window is thrown open. Cats bask on the window sill. There’s onions ripening for a family dinner on the counter top. The unpretentious brita jug is in plain view. There’s a touch of glamour in the chandelier adding a touch of celebration to its function. a little indescript clock is marking time. There’s a chair waiting in the dining nook for you, my friend. Let’s Share this life Together. Instead these men just kindly continued to discuss a deal they’re working on. They just were humbly doing what they felt good doing. That was holding the elevator for a woman. I’d say their mamas raised them right. Thank You to the men who just want to Do Right in their place in society. They crave the peace that comes from Nobility. From Dignity. From Being True Gentlemen. On the Other Hand, I will Do My Best to Be a Lady. Kind. Virtuous. Discreet. Here’s to Chivalrous Men. Here’s to Ladylike Women. Have a Wonderful Weekend Lovelies. Currently, I’m Listening to a Little Kenny G. Working His Magic on the Sax. I Close My Eyes. It Transports Me to a Darkened Lounge with Small Dining Room Table Lights in Boston, Mass . Crisp White Starched Napkins. Dark Suits. Pearls. Red Nail Polish. Snow Gently Falling. I Exhale Slowly. I Feel Rejuvenated. Refreshed. My Belly is Stirred as the Next Song Emanates From My Computer. A Soulful Rendition of “I’m Falling For You”…A Summer Porch. A Glass of Lemonade. The Poplars Dancing their Shadows Across My Feet in a Hammock. The Sounds of Children Playing in the Lake. My Shoulders still Radiating the Sun from an Afternoon Boat Ride. Summer Romance. New Love. Old Love. Puppy Love. Tried and True Love. “Sans Regrets” Starts to Play. In my Mind’s Eye, I’ve Cracked a Window in My Kitchen. The Warm Damp Air of Spring Wafts in. Bleach permeates the air. Saturday Morning Cleaning has Begun. I can Hear the First Lawnmower of the Year Start Up. Little Spring Buds are Forming on the Tree Outside my Window. Anticipation of Summer Fun is Felt in the Air. So Grateful for DayDreams and the Power of Music to Take Us on Little Meanderings Through Life’s Gifts. Be Brave Enough To Admit It. We all live Scenarios where we are Nodding Our Praise. Saying What Others Say. Pretending to Understand When We Don’t. If there’s Substance. If there’s Truth. It Can Stand Up to Questioning. So Be Brave. Ask the Questions. The Truth Awaits. And Trust Me, Truth is a Beautiful Thing. Complex. Rare. Luxurious. A Treasure. Because Maybe YOUR Emperor Has No Clothes. But there is One who Is Clothed in Purple. Fine Linen. Willing to Share Treasure With You. With Indignation. My Cheeks Redden. This is Not a Happy Post. But I am Compelled. It’s a Memory Stirring My Heart. A Few Years Back I Nannied a Sweet Little Sheik Boy. His Dad a True Gentleman. A Pediatric Oncologist. His Precious Innocent Little Wife was a Radiologist. She was taking Swimming Lessons for the First Time at 35. He Surprised her with a Speedo Bathing Suit. That Kind of Innocence. That Kind of Dream Marriage. That Kind of “Thank You for Blessing Our Country.” Kind of Perfection. One Day the Lovely Woman Pulled me Aside. Tears Brimming Her Beautiful Soulful Brown Eyes. I Think she Felt my Heart Breaking. My Heart Broke. How can People Be so Unkind? How can we not be Gentle with each other? Do they not See Her? Little Mrs. First Time Swimming Lesson Innocence? Mrs. Silently Cry when she Leaves Her Precious Baby Every Day? Mrs. Tender Hearted Perfection? Well if They Can’t, I Sure Will. Today and Everyday, No One is Mistreated By Me. Not On Purpose Anyway. No One Should Have to Bear My Moods. My Prejudices. My Unkind UnEvolved Soul. It Started in the Heart and Mind. Think Peaceful Happy Thoughts. Kind Loving Thoughts. Then we won’t Need To Monitor Our Mouths. For Out of the Heart, The Mouth Speaketh.